We have created a portfolio of forging components specifically suited to the LPG/CNG sector. These products, often critically important for safety and performance, are precision engineered using superior quality material. 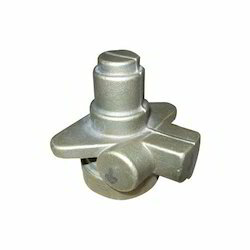 The range offered includes CNG, Valves For Automobile. 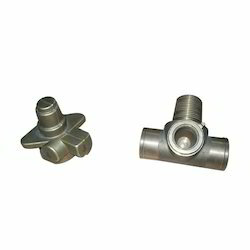 Further, these Forging are available in various specifications and can also be custom made as per the clients specific requirements. Our comprehensive range of Brass Ball Valves for Automobile has gained huge appreciation all across the world for their high performance and less maintenance. Our range of valves finds extensive application in different industries all across the world that includes Automobiles engines, Diesel and Tractors. We make sure that the range of valve we supply are manufactured using the best grade of material so we procure raw materials for our products only from reliable vendors. We also offer custom made products besides standard products to our esteemed customers. Also, our range of prices is very reasonable compared to others. We have gained huge accolades by our clients for our excellent quality range of CNG. These are manufactured using superior quality materials, procured from reliable vendor and find a wide application across various industries. We are instrumental in providing our clients with a range of forgings for CNG that are manufactured by using high quality metal. Our range of products is widely preferred by our clients for their sturdy construction, wear and tear resistance and longer service life. Our range of products is precision made and reasonably priced for our valued clients. Looking for Brass Forging for LPG-CNG ?